Hyung Il Pai died on May 28, 2018. 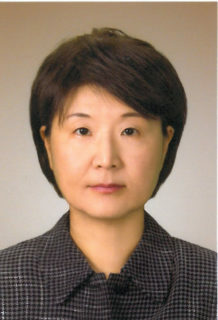 Born in South Korea, Pai was an archeologist of Northeast Asia whose incisive critiques of Korean archeology led her from an exploration of colonial and postcolonial reconstructions of the Korean past into questions of how Korean “heritage,” as both concept and institutions, took shape in the South Korean cultural imaginary. Pai received her PhD in anthropology-East Asian archeology from Harvard in 1989. In 1990, she joined faculty in the Department of East Asian Languages and Cultural Studies at the University of California, Santa Barbara, where she spent her career and where her enthusiasm for scholarship and teaching are fondly remembered. Pai received a BA from Sogang University in Seoul (1991) and completed her graduate studies at Harvard, studying with K. C. Chang who had rewritten ancient Chinese history and Peter S. Wells who taught sophisticated anthropological modeling for questions of early cultural contact. Then classmate Lothar von Falkenhausen recalls how, early in her graduate career, Pai realized that as a woman, she would not be taken seriously by the old boy archeology establishment in South Korea. She boldly charted a career that would necessarily unfold outside Korea, taking on the big issues and core methodologies of the anthropological discipline and embracing feminism, deconstructionism, and postcolonial theory. Pai’s first book, Constructing “Korean” Origins: A Critical Review of Archaeology, Historiography, and Racial Myth in Korean State-Formation Theories (2000), was a bombshell lobbed in the direction of the old boys. Combining an up-to-date archeological tool kit with a canny reading of Korean, Chinese, and Japanese sources, Pai argued that modern Korean archeology and cultural history were colored by a nationalist desire to confirm origin myths and dubious arguments for a cohesive ethnic “Korea” of great antiquity. South Korean archeology, she would argue, was an ironic mirror image of the Japanese colonial project it was intended to supplant. Heritage Management in Korea and Japan (2013) and the co-edited volume with Timothy Tangherlini, Nationalism and the Construction of Korean Identity (1998) built upon Pai’s interest in colonial legacies and national identity construction. She was unafraid to offer the near-heretical view that colonial policies of site preservation and the development of tourist itineraries on the Korean peninsula were seminal for the South Korean nation’s own ambitious heritage projects. Her explorations in early Korean modernity led to intriguing publications on early photography, guidebooks, and postcards. She published in English, Korean, and Japanese.